Veteran reporter will provide coverage of transportation industry. 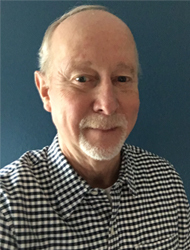 Agile Business Media LLC has announced that experienced journalist Gary Frantz has joined the staff of DC Velocity magazine as a regular contributing editor with a focus on covering the transportation industry. Frantz is a veteran communications executive with over 30 years of experience in the transportation and logistics industries. He's served as communications director and strategic media relations counselor for companies including XPO Logistics, Con-way, Menlo Logistics, GT Nexus, Circle International Group and Consolidated Freightways. Gary is currently principal of GNF Communications LLC, a consultancy providing freelance writing, editorial and media strategy services. He's a proud graduate of the Journalism program at California State University - Chico. Reach out to him with story ideas and press releases at gfrantz@dcvelocity.com. Feedback: What did you think of this article? We'd like to hear from you. DC VELOCITY is committed to accuracy and clarity in the delivery of important and useful logistics and supply chain news and information. If you find anything in DC VELOCITY you feel is inaccurate or warrants further explanation, please ?Subject=Feedback - : Gary Frantz joins DC Velocity staff">contact Chief Editor David Maloney. All comments are eligible for publication in the letters section of DC VELOCITY magazine. Please include you name and the name of the company or organization your work for.